Guitar Shredders Central Calling! 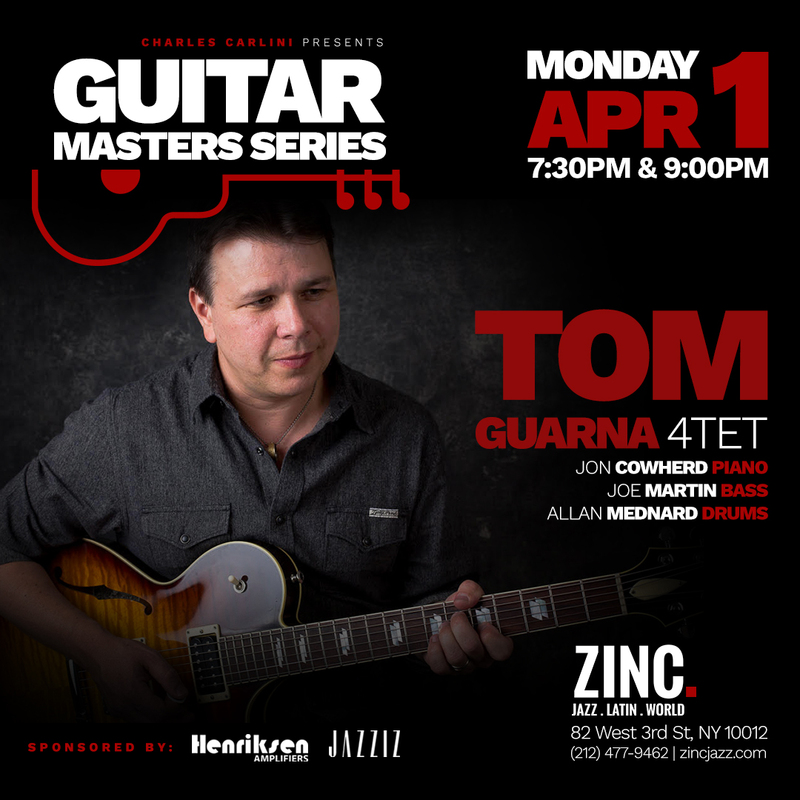 Spend an evening with some of the finest Guitar Masters at Zinc. Book your tickets today! Guitarist Tom Guarna teams with pianist John Cowherd, bassist Joe Martin, and drummer Allan Mednard to showcase some of his original compositions from his latest album The Wishing Stones.